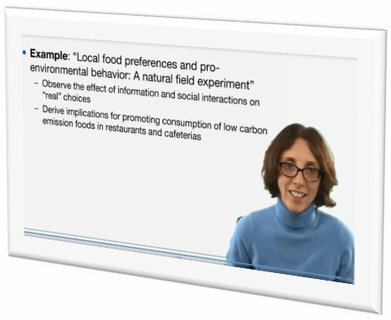 MOOC - "The Economics of Agro-Food Value Chains"
The MOOC (Massive Open Online Course) The Economics of Agro-Food Value Chains is online now! 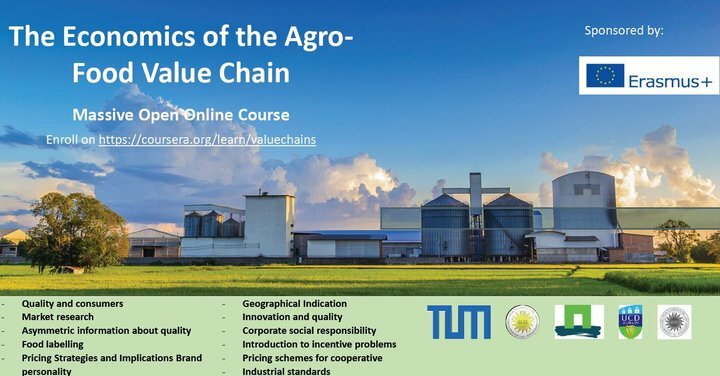 This course is primarily aimed at economics and life science students at an advanced bachelor’s level or introductory master’s level and professionals interested in the agro-food value chains. Download the curriculum and a detailed course information below. We also created a "MOOC Documentation & Production Guide" which can also be downloaded on this site further below. Dieses Projekt wurde mit Unterstützung der Europäischen Kommission finanziert. Die Verantwortung für den Inhalt dieser Veröffentlichung trägt allein der Verfasser; weder die Kommission noch die NA DAAD haftet für die weitere Verwendung der darin enthaltenen Angaben. The creation of these resources has been (partially) funded by the ERASMUS+ grant program of the European Union under grant no. 2014-1-DE01-KA203-00628. Neither the European Commission nor the project's national funding agency DAAD are responsible for the content or liable for any losses or damage resulting of the use of these resources.